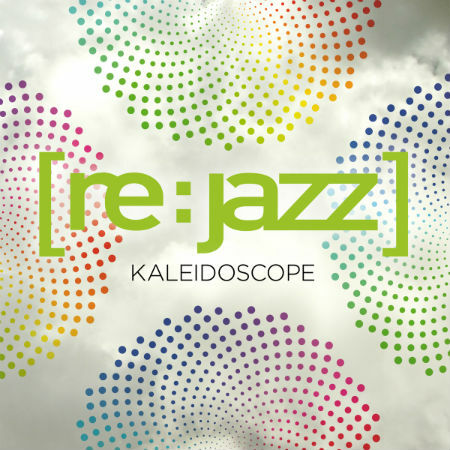 [Re:Jazz] proudly present their fifth studio album “Kaleidoscope” out in November 2012 on CD/digital download on German label INFRACom!, to coincide with their tenth anniversary. The new album means that, even after 10 years of existence, countless concerts and two successful tours to Japan [Re:Jazz] remain exciting. The self-chosen dogma in the earlier albums of creating acoustic versions of electronic originals is abandoned on “Kaleidoscope” and the repertoire focuses mainly on original compositions. Though still using jazz as the basic vocabulary, the Frankfurt band founded by jazz pianist and DJ Matthias Vogt takes the liberty of extending more freely into other territories. Over the years, [Re:Jazz] has developed their own musical language based on the area of conflict between acoustic and electronic music and for which they are internationally recognised as pioneers, but on “Kaleidoscope” they considerably use more electronic references . Against this background, the decision in favor of another form of production for the new album only appears logical. The new production has the support of a soul mate in jazzanova producer Axel Reinemer. The album was recorded by him analogously, exclusively with vintage microphones, polished and refined using tube compressors. The result impresses through versatility and dynamic sound. [re:jazz] has never sounded as warm, as direct, intimate and impressive as in this symbiosis. “Kaleidoscope” features the most varying moods and influences of jazz, soul, Latin, funk through to dubstep, house and drum & bass. A further remarkable change has left its mark on “Kaleidoscope”. The new voice of [re:jazz] : the singer Mediha who, following the departure of Inga Lühning last year, has already excelled with the band live “on the road” and who now shines for the first time in album length with her warm and smoky timbre.In addition, the regular seven-man formation has been joined for the anniversary by several musical guests: The most prominent of these is undoubtedly the singer of the Brand New Heavies, the wonderful N’Dea Davenport who, together with the band, wrote the title “Don’t Push Your Luck” – an ode to the inspired London sound of the early 90s. The Berlin star trumpeter Studnitzky is involved in three titles. Other guest singers are Nathalie Schäfer from the German electro-jazz project (Nekta) and Andrew Herbertson (Joash/London) whose sensitive voice warms the perhaps most electronic number of the album “Out of Phase (You & Me)”. They too have composed the respective title together with Matthias Vogt and thus given “Kaleidoscope” a further individual facet. Finally and in keeping with old tradition, some electronic originals have found their way onto the album and have been transformed by Vogt into [Re:Jazz] versions. Titles of respected electronic producers such as “lambic 9 Poetry” by the British sound tinkerer Squarepusher or the wonderfully melancholic “Miss You” by Trentemoeller, are placed in a new context, as is an interpretation of house classic “Tears” (Frankie Knuckles/Robert Owens).